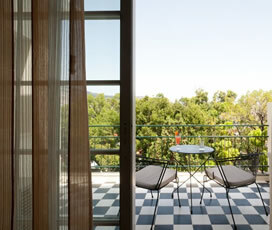 Maximum of 3 Rooms can be booked online, for larger groups please contact our Reservations Team on 0208 340 7612. 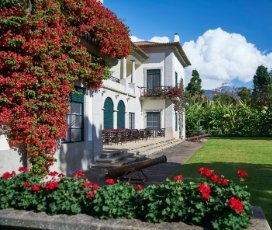 "The quintas of Madeira are so charming and welcoming, staying in a quinta really gives you a true feeling of the island"
We love creating perfect holidays for our clients. Start planning your dream trip today by talking to one of our Destination Specialists. Use the form below to send us a detailed enquiry. A member of our Reservations team will be in touch within 24 hours. Use the form below to Request A Call Back. No hotels found were found. Book before 30/04/2019 and get 20% discount for stays 01/04 - 30/04/2019. 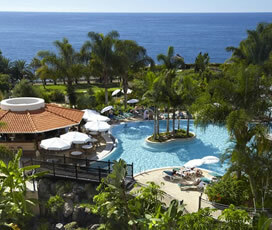 The archipelago of Madeira is situated off the northwest coast of Africa and comprises of 4 islands. 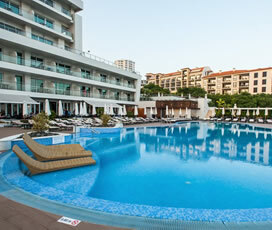 It is known for its warm breeze that blows from the Gulf stream and is ideal destination for winter breaks. 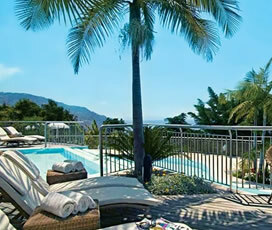 Its capital is Funchal, recognised for its green, botanical gardens and the island has an average population of 254,876. 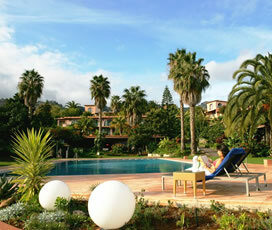 Madeira features a good climate with most days being sunny and little rain dominating the island. Because of its mountainous terrain, it includes various microclimates. 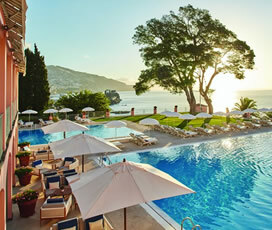 The bay of Funchal enjoys the best sunshine with most hotels running along its southern coastline., making it ideal for a beach holiday. 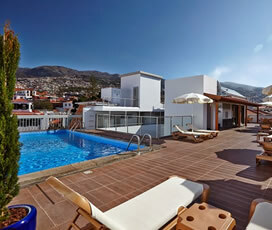 On the southwest coast, at Ribeira Brava, Ponta do Sol, Madalena do Mar, Calheta, Jardim do Mar and Paul do Mar, backed by the lower hills of Paul da Serra, the sun shines during its summer months and the weather is generally fair throughout the winter. The average temperature in July is 21 degrees and in August around 24 degrees, whilst in the winter it averages to about 18 degrees in December. As a South-European island, Madeira has developed its own gastronomy prepared with locally sourced and natural ingredients, giving the island its own individual flavour and cuisine, independent from its neighbours, such as Greece, Italy or even mainland Portugal. Food and drink is an important aspect of the Madeiran lifestyle and restaurants are plentiful around the island to offer its visitors deliciously prepared food and unique culinary experiences. In Madeira you will be able to indulge in a variety of flavours from the taste of exotic passion fruit, to street food, such as their local garlic bread Bolo Do Caco and even fresh sea food including fried scabbard fish.Tasty and succulent selections of meat including beef, pork and chicken, are very popular in Madeira as part of their traditional Espetada, comprising of grilled meat on long skewers. 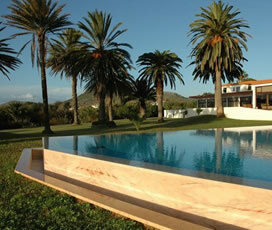 With the high production of sugar cane in Madeira, the Madeirans produce their signature sugarcane rum. The sugarcane rum drink, known also as Poncha, includes sugarcane rum, honey and can be made with either orange or passion fruit. Alternatively, if you prefer to dine with some wine then the Madeira Wine is world-famous due to the plethora of vineyards scattered around the island. 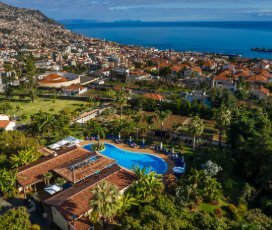 Madeira island is known for its exquisite black volcanic sand, crystal clear waters and high beach standards, making it an ideal place for couples and those looking for family holidays. For families seeking golden sandy beaches then the beaches of Calheta and Machico are the places to be, where the sand is imported specially to cater for its travellers. 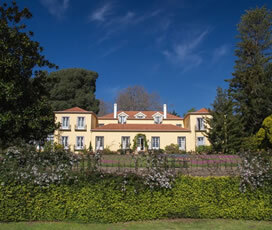 Families seeking to experience history, art and culture can visit the range of museums in the capital of Funchal, such as the Madeira Story Centre or the CR7 Museum, a museum dedicated to the football star Cristiano Ronaldo, exploring his amazing story and his collection of trophies achieved throughout his career. 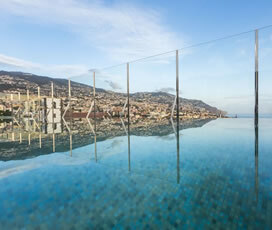 Madeira is an island rich with an array of opportunities for its visitors to experience and appreciate; satisfying every traveller's leisure needs. On the island you will find there is a popular host of events that run throughout the year, where locals and tourists come together to share cultural and artistic experiences or enjoy the favourite weekend activity with the locals, by finding a suitable festa. 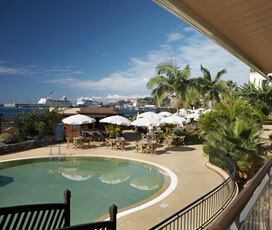 Festas are the place to hang out by indulging in a cooling drink and maybe have some espetada or other snacks. There are also regular local festas featuring traditional music, live rock bands and municipal bands. Perhaps the most unique activity are the walks on the levadas. These water channels run along the contours of the island transporting water from the north side to the south side and from rivers to the ridges; making it an ideal way to see the island. Alternatively, botanists and nature lovers can head for the Jardim Orquídea and the Botanical Garden, and other beautiful gardens open to the public at the do Monte, Palheiro Ferreiro, Palmeira and Boa Vista. As an island surrounded by the Atlantic Ocean it invites its adventurous travellers to try sailing, fishing, dolphin or whale watching, water skiing, surfing and even diving. The city of Funchal is environmentally conscious and can be considered a natural amphitheatre, with views of the Atlantic and a backdrop of the mountains. Its flowers bloom throughout the year and as a city it is extremely relaxing and serene by day but does not fall short in providing a vibrant and varied night scene to cater to all preferences. 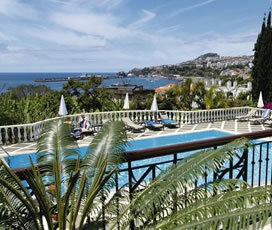 The city of Funchal is a great place to travel to and experience, as it is adaptable to suit every age and interest. It caters for a mature traveller looking for a tranquil getaway, interested in stunning day walks, breath-taking natural green scenery and al fresco dining, but also to young and trendy travellers seeking to combine relaxation, adventure, chic dining and nightlife. The capital city of Madeira, Funchal, is the island's largest city, renowned for its harbour, botanical gardens and impressive display of wine cellars. It owes its name to the abundance of wild fennel that the first settlers of the island had discovered. 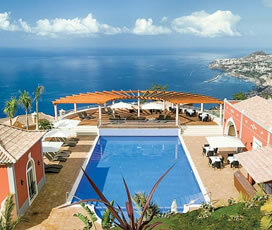 It has been Madeira's capital for over five centuries and is considered the sixth largest city in Portugal. With its subtropical Mediterranean climate, it has even temperatures all year round, making it an ideal destination to visit any time of the year, with its warmest temperatures between April and September. 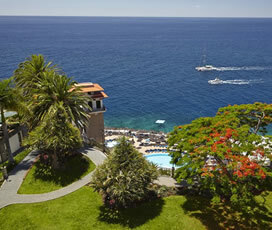 Funchal is now a modern, cosmopolitan city, oozing natural beauty, top class restaurants, stunning hotels and an all year-round warm climate. Apart from being world-famous for its biggest export of the island, football star, Cristiano Ronaldo, it is deep rooted in culture and history. 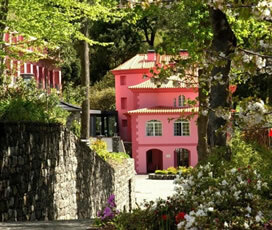 In Funchal, travellers can take time to appreciate the many historical and cultural museums the island has to offer. 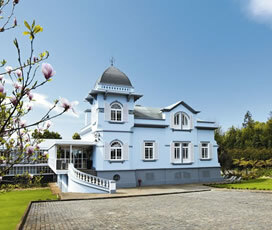 Some of the most notable places to visit include the Madeira Story Centre offering visitors a virtual journey to 'relive' in chronological sequence the archipelago's historical events; the Núcleo Museológico da Cidade do Açúcar-CMF (Sugar Museum) dedicated to sugar, to learn about the role that the fabrication and exportation of sugar played in the economic and social life of Madeira; and the Funchal Natural History Museum, where visitors can find the fauna, flora and geology of Madeira Island, housing more than 41 thousand specimens of animal species. For an unforgettable holiday experience, treat yourselves to some Madeiran shopping. 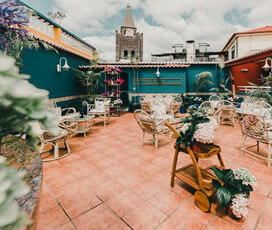 Funchal’s main streets will offer you plenty small boutiques selling souvenirs such as handicraft, embroidery as well as regional goods to Portuguese and international designers. The Farmers' Market, in Funchal’s city centre, is an ideal place to go to for fresh fruit, colourful vegetables and baked bread. Alternatively the are of Funchal has several shopping centres where you can find brands and shops selling different goods and items. 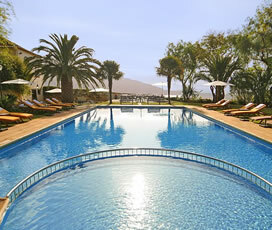 Keep up to date with all of our latest News, Special Offers and exciting NEW Destinations. Enter your e-mail and subscribe to our newsletter. Contact our Specialists Reservations Team.